Railway Police on duty seized a huge consignment of ganja from a coach in the Agartala-Bangalore Humsafar Express on Tuesday night. According to information, the packets of ganja were being carried in plastic bags and kept in the bottom of the seats in the train. The ganja packets were recovered by the Railway police during their routine check in the train. The ganja packets were recovered after the train was left from Badarpur Railway Station. The Railway Police on duty handed over the ganja packets to the Railway Protection Force (RPF) in New Haflong in the same night. On the other hand, at around 11 am on Wednesday, as soon as the Excise Department was informed about the recovery of the ganjas, a team of Excise Department officials arrived at the New Haflong Railway Station in Dima Hasao and took over all the ganja packets. There were a total of 40 packets of ganja. As per sources, the recovered ganjas would cost more than a lakh in the market. It is suspected that there has been a big racket involved in transportation of the banned ganjas. 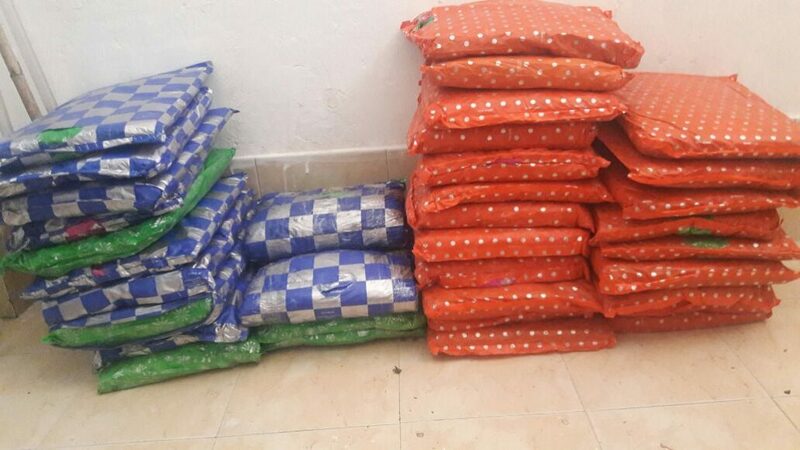 However, the police have failed to arrest anyone in connection with the transportation of the ganja packets.